This progressive disorder which prevents movement is one that often over time worsen. It’s a widespread aliment, and few are without contact with someone heavily affected by it. In the current time we still hold no cure for this disease, however medical research has expanded the treatment options available for patents which have developed and branched out much in recent years. Those affected by the disease experience symptoms caused by malfunctioning neurons and dying nerve cells meaning that they cannot control movement as normal. The physical manifestation of Parkinson’s disease is of course different from person to person, however there are some common symptoms to be aware of. Tremors in the hands, arms, legs, feet and face are often an indication, just as slow movement and imbalanced posture, which often also comes with impaired balance and coordination of movement. Of course medical research is taking place to find a cure for this disease which touch and disrupt the lives of so many, research which of course is always in need of aid. If you are interested in finding out more about Parkinson’s disease, of if you suspect that someone close to you have displayed the common symptoms mentioned ensure to seek help and advice from a professional immediately. 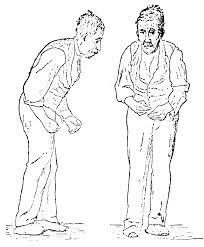 Parkinsonism or Atypical Parkinsonism may be terms which you have heard, these are often used as umbrella terms for those with similar symptoms of Parkinson’s Disease. What is worth noting is that often in early diagnosis it’s difficult to tell if a patient has the typical disease or a different type of syndrome mimicking the symptoms. In many patients the typical disease as well as additional syndromes are present. Should you require further information due to suspecting symptoms in yourself or someone you know, please contact your doctor as soon as possible.